The Dominican Republic and Jamaica head a list of the 10 Caribbean destinations that produced the highest growth in booked room-nights for tour operator Delta Vacations from 2009 through the end of 2013, the company announced Thursday. The 10 destinations cited by Delta Vacations generated a collective 250 percent increase in rooms nights booked during the time frame cited. The Delta Vacations report comes after each of the two destinations’ recent reports of strong tourism numbers. 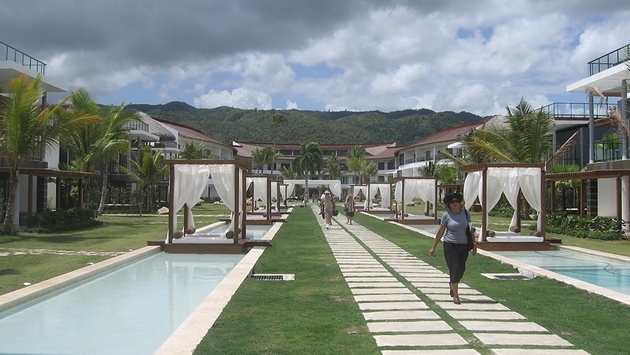 Francisco Javier Garcia, the Dominican Republic tourism minister, this week announced a three percent increase in tourist arrivals in 2013, and predicted 2014 will produce an “unprecedented” fifth straight year of increased arrivals. In December Jamaica tourism officials welcomed the destination’s two millionth visitor in 2013, the first time the country has ever reached that total. In addition to the two leading countries, Aruba, the Bahamas, St. Lucia, Puerto Rico, the U.S. Virgin Islands, the Turks & Caicos Islands, the Cayman Islands and Antigua, in descending order, generated the largest growth in booked room nights according to Delta Vacations officials. In addition to their strong air service, the top 10 destinations are “experiencing sustained growth because of increases in room capacity and improvements in infrastructure,” said John Caldwell, president of MLT Vacations, Delta Vacations’ parent company. In the case of the Dominican Republic Caldwell cited the recently completed San Pedro de Macoris-La Romana highway, which connects the capital city of Santo Domingo with the resort town of La Romana, and La Romana with Punta Cana, another key resort district. Follow me in Twitter @cruiseprguy.